Have you ever been in a situation where you argued vociferously for your point of view, and seemingly hit a brick wall as you tried to convince the other person of your opinion? If you are stuck at a standstill – at work, in personal relationships and in social situations read on. How do you avoid this trouble? Is there is a better way to both assert your opinion, validate the other person’s, and arrive at a more comfortable meeting of the minds? May be a good way to find another way starts with giving a good look at ourself. Did you notice that as we argue for our view in a variety of scenarios, we often fail to question one crucial assumption that is often at the root of our entire stance in a conversation? 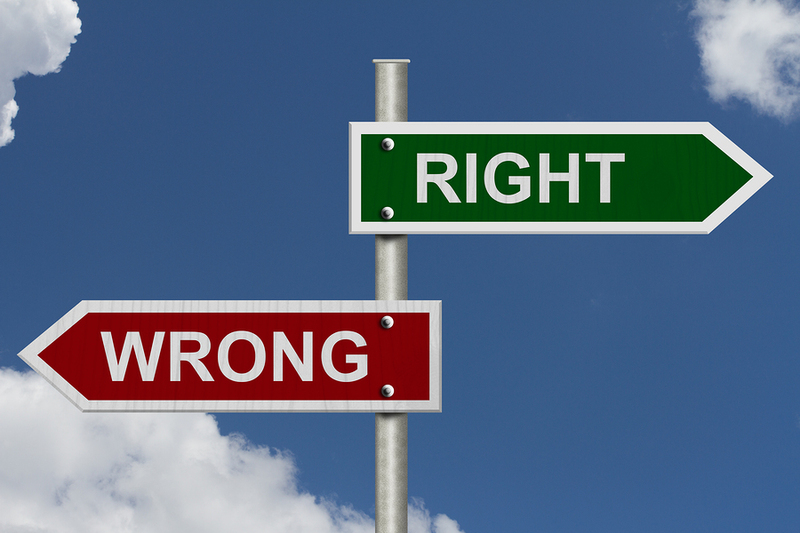 The crucial assumption is: I am right, you are wrong. This simple assumption causes endless grief and confusion, and prompts us to overlook important nuances in a discussion. As a useful alternative, the “Third Story” from the book “Difficult Conversations” can help by helping us understand and address the “truth assumption” — one that we all make, and that creates problems for more complex conversations with opposing views. Notice this too: we argue often in the name of finding the “truth”. But in the most difficult conversations, there are different perceptions of the same reality and the work is less about finding the truth and more about seeing that what the other person is saying also makes sense. Why? Because we have different perceptions because we come with different backgrounds, and we have different information about the same event, decision, or issue. Our interpretations come from different life experiences that have shaped the lens through which we see people, workplace issues, and so forth. Another way in this predicament is to acknowledge that what we are saying makes sense to us, and what they are saying makes sense to them. And, in the process, there is a way to connect the two viewpoints. We each are a ‘visiting’ character in the other’s story, as they are in ours. Each of our stories is different and arguing from our own story, is like trading conclusions about each other: it diminishes our ability to learn how the other person sees the world and inhibits or encourages change. People need first to be understood. Only at this point can we ask them to change. We need to first understand the other person’s story well enough to see how their conclusions make sense. We also need to articulate our conclusions in such a way that the other sees how we make sense. We should always be aware that our stories come from available information and our observations. We all have access to different information, and we all choose to notice some things and ignore others. Instead, we should start assuming that there is important information we don’t have. Our interpretations are a critical source of opinions. Some of the factors influencing interpretations are past experiences, because our past gives meaning to the present, implicit rules for how things should or should not be done, and past experiences that generalize into the ‘rules’ we live by. Our conclusions often reflect self-interest. We need to shift from certainty about our own opinions and what we think we know to curiosity about other people’s perceptions, knowledge, and insight. And find to way to move from thinking, how can they think that? to, I wonder what information they have that I don’t. We should shift our approach from thinking, how can they be so crazy? to, how might I see the world in a way that their view makes sense? It’s a paradigm shift within our brains, a cognitive rearrangement. We need to transcend and include both our own stories and other people’s stories, keeping in mind that understanding doesn’t always mean agreement. Both stories have different information and different interpretations, and thus can both make sense at the same time. This kind of meeting of the minds can lead to understanding. And now that we understand each other, we can better consider what is a good way to approach any situation that is characterized by dissonant views. You can teach yourself to keep a “yes, and?” stance. The essence of this “yes, and…” concept is a validation of both your views of a situation, and the agreement that another person’s view has value. In this scenario, you do not have to choose or decide which person is right. You can both embrace both opinions, and then work at understanding each other’s point of view.